“successfully completed 3.091x: Introduction to Solid State Chemistry, a course of study offered by MITx, an online learning initiative of The Massachusetts Institute of Technology through edX”. Frankly I don’t understand why it took 17 days to generate the certificate but hey, it was a free course and I wasn’t in a hurry. I took this course hoping to refresh or possibly fill some gaps in my university chemistry, and also because it was one of the inaugural courses offered by edX. I expected it to be both challenging and fun. It was challenging all right. But it could do with a little bit more fun. For the benefit of future students, here are my personal impressions of the course. The 12-week course has eight sets of homework, two midterm exams and the final exam. 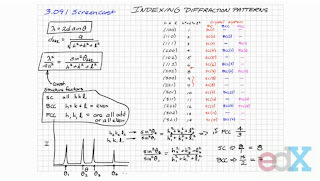 The material includes lectures (videos, available both online and for download), lecture notes, textbook (“personalized”, that is, abridged, version of Chemistry: Principles, Patterns, and Applications by Bruce Averill and Patricia Eldredge), interactive Periodic Table and table of physical constants. As there were no prerequisites listed for taking this course , and I knew some chemistry, I thought it will take less effort for me than “estimated” (clearly underestimated) 12 hours/week. I was wrong. Watching the lectures and solving the problems was taking more than that, so I did not have time to go through the readings and only consulted the lecture notes if stuck with a particular problem. When you are sitting in class, it is great to have in front of you a professor who still can write on a blackboard with a chalk, instead of flicking through his PowerPoint presentation. However for the online course it is not the most efficient format, especially that we are lacking interactivity. If I have a question, I’d like to ask the professor, not the abstract “Staff”. Also, 3.091x contains not entire lectures but fragments, arranged according to the “learning sequence”, with an occasional continuity lapse: certain topics are to be explained later in the course, or never, while they are already in the past for the students in the audience. Or maybe my problem is with this particular lecturer. I was much more impressed (see my earlier post) by Donald Sadoway’s lectures of the same course read in Fall 2010. And those come in their entirety. Some other videos, called “screencasts”, were very useful. Typically, they are showing step-by-step solution of this or that problem. 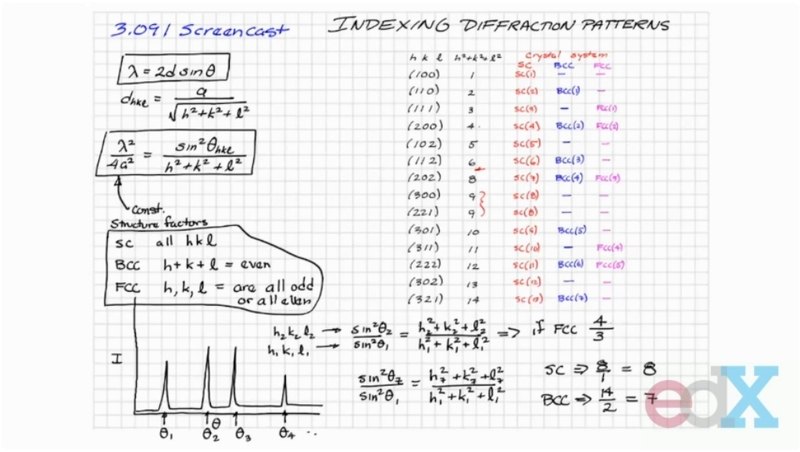 I wish they used some old-fashioned legible fonts rather than handwriting: at times, I had to switch the video to the maximum resolution to decipher the formulae. The very fact that I had to complete a set of homework by the end of the week was motivating me enough to actually do it. Typically, the learning sequence and homework for the week n were released about Thursday of week n–1 so you have good ten days to solve your problems in peace. I thought my motivation will be waning somewhat after the second exam, as I already earned the 60% needed to get a passing grade (i.e. C; to get B and A, you need 70% and 87%, respectively) . To the course authors’ credit, that did not happen. The most interesting lectures for me — that is, those from which I learned something new — were on crystallography, semiconductors and glasses. I feel that biochemistry is not the strongest part of the course; I’d prefer it was not there at all rather than explained superficially or wrongly. I quite enjoyed the part dealing with food, especially chocolate, as well as the video on quantum dots. If in future they announce a edX course on food chemistry, I would like to take it. Midterm (or, more correctly, one-third-term and two-thirds-term) exams were concerned with material from weeks 1–4 (11 problems) and 5–8 (13 problems), respectively. The final exam contained 25 problems from the entire course. Although I earned my 99%, there is no way I would pass the exams in the “real” 3.091 class. The midterm exams are supposed to last three hours each and the final exam is a four-hour affair. Luckily, “in order to compensate for any Internet or power outages” (or mental blocks) we were given full 72 hours (Friday through Sunday) for each exam. Good thing that I was able to consult the rest of the course material during that time. To my surprise, I failed only one question on the final exam, and then I am sure that I gave the correct answer. The discussion forum is great — as long as you don’t read, and especially don’t comment on everything that is posted there. As with any discussion forum, you notice that some people comment without even reading what was said on the topic. After the final exam, the discussion still went on: Why did I get the red cross? When will we have our certificates? What next courses do you take? And so on. Some students even plan to take 3.091x again. Guess what, I am taking another edX course. Watch this space! The Spring 2013 edition of 3.091x explicitly mentions high school algebra/precalculus as prerequisites. According to MIT News, of 28,512 students initially registered for 3.091x, 2,082 (7.3%) passed the course. Thanks for posting this :-) I'm currently trying to piece together info from the internet about how different MOOCs are assessed; what format were the homeworks and exams? Were they all multiple choice questions? Thanks! No, not all multiple choice. Quite a lot of (high-school level) math, so many answers had to be numerical. 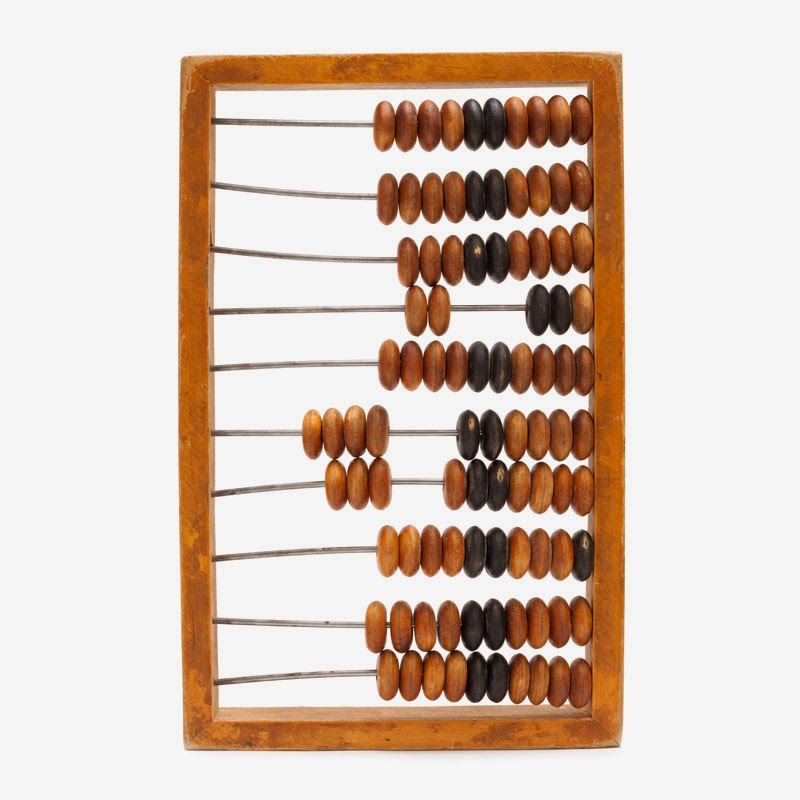 There is an online calculator in the courseware but it does not matter what you use as long as you type in a correct answer. A typical homework has about eight problems, and I gave the figures for the exams above. When you have multiple-choice question, you have a limited number of attempts. For numerical solutions, the homeworks had an infinite number of attempts and exams had seven attempts. They also try to introduce tasks where you give the free-text answers and then self-evaluate but that was in the learning sequences, not homeworks or exams. Perhaps in the future these could be analysed computationally, but for now I don't think the free-text answers are a good idea, especially given that for many students English is not a first language. You may also be interested in my review of CopyrightX, which is another edX course completely different from 3.091x. Well this can be considered as genius, mate. I'm taking 3.091x this Spring, have just finished Final Exam (nearly 6-7 hours of doing this), and got 87% overall. I don't think i will pass if I take the real 3.091 without any extra effort. Thank you for sharing this, and i hope you'll have another great experience with another edX course and share it to us!